With Mother's Day right around the corner, we've created the perfect box for all the inspiration mother-figures and strong women in your life! Perfect for aunts, grandmothers, moms, friends, sisters, and all other powerhouse women you know, we cannot wait to share this five day reading experience with you and your loved ones! This box is similar to our Christmas Advent Calendar, in which each box will include five days of wrapped gifts with a small booklet of stories that coordinate with each gift. These stories will be custom written for our box, crafted around each of the five adorable gifts we've included! Each day, the story is meant to be read and then the gift opened at the exact moment marked to emphasize the importance of the gift! 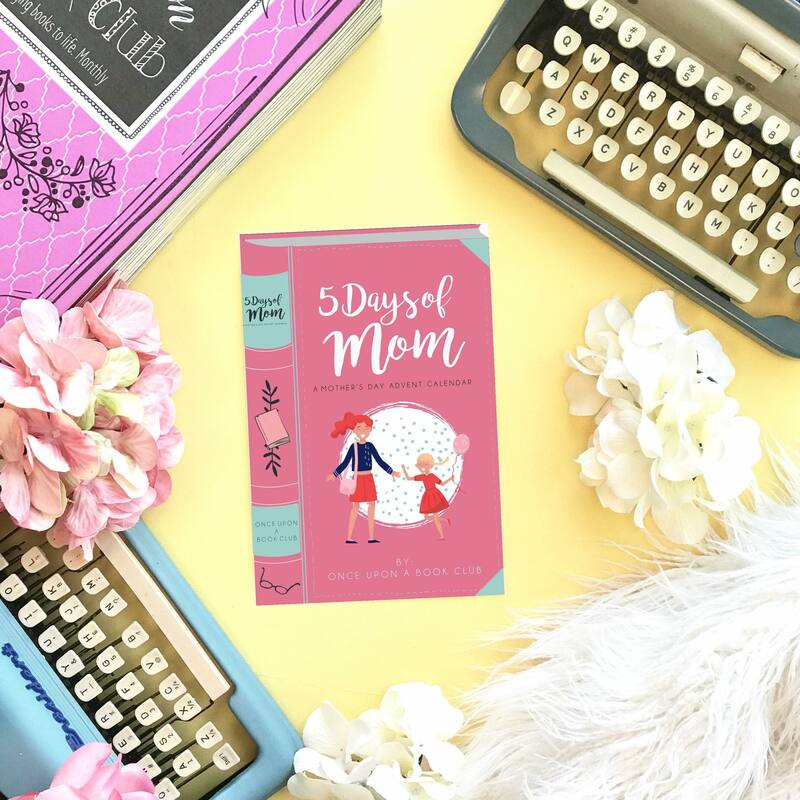 The gifts in our 5 Days of Mom box include the following! - Something to Read! - Something for Rest! - Something to Wear! -Something to Carry! - Something to Display! We are so excited for all these gorgeous gifts! While the something to read is an absolutely fantastic novel, all other gifts will be custom designed and exclusive to this box! You will not be able to find them anywhere else! Boxes will be shipping in early May! Shipping within the USA is free. Shipping to Canada is $7.50 USD, and shipping everywhere else in the world is $17 USD and will take approximately 10-12 days to arrive.